With an ever-present mishmash of computer equipment, office furniture and assorted gadgets, the modern office can be a messy place. In addition to giving off an unprofessional appearance to potential clients, a hopelessly cluttered workplace can interfere with employee productivity. 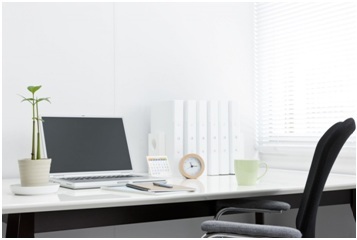 Although keeping your office clean may seem like a herculean task, it’s surprisingly easy. Utilizing a few simple space-saving measures will leave your workplace wide open and clutter-free in no time. If bulky private servers are eating up valuable office space, consider switching to a virtual data center. These businesses will relocate your company’s entire database to a dedicated cloud server equipped with cutting-edge data security software. As an added bonus, the seemingly limitless bandwidth offered by many data centers ensures you and your staff can access the company database at blazing-fast speeds. Furthermore, the data-recovery capabilities of virtual cloud servers make lost files a thing of the past. By getting rid of your office’s in-house servers, you’ll clear up a sizable chunk of space and cut your power bill in half. Many offices have storage closets teeming with outdated electronics. If your workplace’s storage areas are dumping grounds for PCs, monitors and other devices your employees no longer use, take the unneeded gadgets to the nearest e-waste recycling center. To ensure your outdated devices don’t go to waste, these facilities will strip them for useable parts before recycling the metals and plastics that make up their exteriors. Consider donating outdated electronics still in working condition to schools, homeless shelters, community centers or needy families. Depending on where you chose to donate them, your business may be eligible for a tax write-off. Rather than allow your office’s e-waste to end up in an environmentally-hazardous landfill, put your old gadgets to good use. Not only will you clear up storage space, you’ll be giving a helping hand to the less fortunate — and reducing your company’s carbon footprint in the process. In much the same fashion as outdated electronics, old office furniture has a way of sticking around after outliving its usefulness. If you’ve recently upgraded your company’s desks, office chairs or waiting room sofas, hanging onto old furniture onlyeats up space. Old office furniture with considerable damage can be disposed of at your local dump or harvested for materials at a recycling plant. Certain cities even allow businesses to put old furniture out with their regular trash. Alternatively, furniture with a few good years left should be donated to charity or sent home with interested employees. In some cases, new cushions or a quick reupholstering can breathe new life into unwanted office furniture. In addition to being potential fire hazards, tangled-up bundles of extension cords are the enemy of organization. With the endless array of extension cords found beneath the modern worker’s desk, ascertaining which cord corresponds to which device can be a real test of one’s patience. Although many business owners have accepted this as a fact of life, a cost-effective solution to this problem is readily available. Extension cord organizers come in a variety of sizes and enable workers to convert unruly bundles of cords into a single cylindrical shape. Not only does this make locating specific cords a breeze, it’s also far more aesthetically pleasing than the lump of extension cords to which many workers have grown accustomed. In the quest to save space around the office, encourage employees to utilize space-saving measures at their workstations. While it’s not uncommon for workers to decorate their desks with small toys, figurines and other knickknacks, overloading one’s workstation with them is liable to cause disorganization and give off an unprofessional appearance. To combat this problem, allow no more than five knickknacks per workstation. Certain employees may be resistant to this change at first, but after experiencing the joys of an uncluttered desk, they’re sure to hop on board. 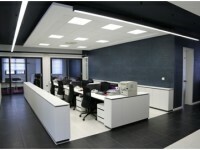 As CareerBuilder reports, clean, spacious work environments promote productivity and organization. Additionally, this type of workplace radiates professionalism and can heighten your business’s appeal to new clients. So if you and your staff are tired of working in a cramped, confining office, roll up your sleeves and start clearing space.